TOKYO – Nikon Corporation is pleased to announce the release of the D810, a Nikon FX-format digital SLR camera. 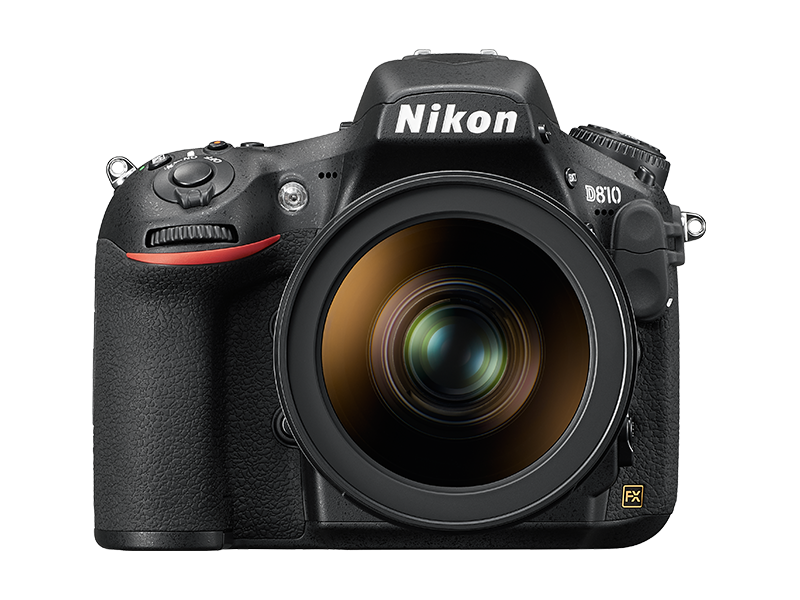 The D810 is a digital SLR camera that boasts incredibly superior definition and image quality made possible with a new Nikon FX-format CMOS sensor with no optical low-pass filter, adoption of the latest EXPEED 4 image-processing engine, an effective pixel count of 36.3-million pixels, and a standard range of sensitivities from ISO 64 to ISO 12800. Not only does it offer extremely accurate AF, but vibrations generated inside the camera have been reduced to maximize the resolution of its 36.3-million pixels for sharp and clear images. The camera also supports recording of smooth, extremely sharp 60p full-HD (1920 x 1080) movies. What’s more, high-speed continuous shooting at up to 5 fps with the FX-format image area and up to 7 fps* with the DX-format image area is possible for excellent response to a wide variety of scenes. The D800 and D800E, added to Nikon’s lineup of Nikon FX-format cameras in March 2012, drew great attention from professional and advanced amateur photographers as digital SLR cameras offering superior image quality nearly equal to that of medium-format cameras. The performance of these two cameras was well received around the world, earning them a number of prestigious awards, including a respected Technical Image Press Association (TIPA) Award 2012 and a European Imaging and Sound Association (EISA) Photo Award presented to the D800. 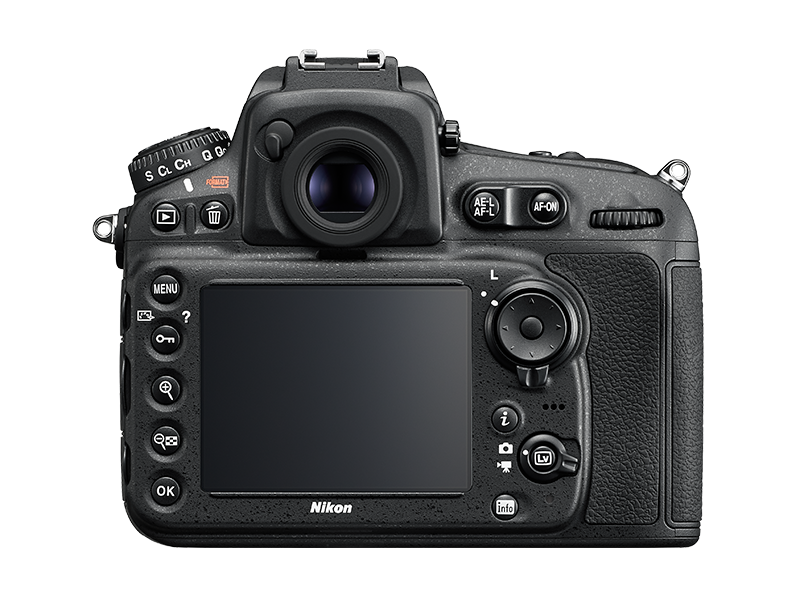 The first digital SLR camera in Nikon’s history to offer a minimum standard sensitivity of ISO 64 at which superior clarity and image quality with rich tones is achieved. A minimum standard sensitivity of ISO 64, at which the same broad dynamic range available with ISO 100 is possible, was achieved through the adoption of a new FX-format CMOS sensor and by increasing the volume of light information that can be accumulated. This enables suppression of loss of detail in highlights (blown highlights) and beautiful rendering of subjects with rich tones, even when a fast lens is used in bright surroundings. In addition, collaboration with the same EXPEED 4 image-processing engine adopted for the D4S achieves a broad range of standard sensitivities up to ISO 12800 (Lo 1, Hi 1, and Hi 2 settings are also available). Further increases in imaging flexibility: The Picture Control system, Nikon’s exclusive advanced system for image processingA new “Flat” Picture Control option has been added with the D810. Less in-camera processing is applied to images captured at a Picture Control setting of “Flat” than to those captured at a setting of “Neutral”, enabling maximization of the amount of subject information acquired. The “Flat” setting prevents loss of detail in highlights and shadows, as well as over-saturation of colors, enabling adjustment of image quality and post-processing for richer tone characteristics, including contrast and colors. In addition, a “Clarity”*1 option has been added to adjustment settings for each Picture Control, allowing users to make images sharper or softer without over-emphasizing outlines and edges in images, and each setting can be adjusted in increments of 0.25 step*2, enabling more precise adjustment that makes it easier to achieve imaging that better reflects user intent.Extremely precise AF and superior vibration suppression that maximize the resolution of the 36.3-million-pixel effective pixel count. In order to make the most of the incredibly high pixel count of 36.3-million effective pixels, the precision of the 51-point AF system has been increased with adoption of the Advanced Multi-CAM 3500FX autofocus sensor module and improvements to the focusing algorithm, ensuring exact autofocus acquisition on the intended portion of a still subject. In addition, mechanical operation of components such as the mirror and shutter has been improved for significant reduction in the amount of internal vibration generated. The end result is a system capable of maximizing the superior rendering performance of NIKKOR lenses and the superior definition of the D810’s CMOS sensor. High-speed continuous shooting at approximately 5 fps in FX format and approximately 7 fps* in DX format makes capture of a broader range of subjects possibleAdoption of a new CMOS sensor and the EXPEED 4 image-processing engine makes high-speed continuous shooting at approximately 5 fps in FX format and approximately 7 fps* in DX format possible with the D810. This makes capture of a broader range of subjects/scenes possible with excellent response with not only still subjects, but also moving subjects such as wildlife and sports scenes.Full-HD movie recording with which picture quality and operation has been significantly improvedThe full-HD movie recording function, capable of recording extremely sharp and clear movies exhibiting significantly fewer moiré patterns and jaggies, and less color aliasing, supports 60p recording for smoother expression of subject movement. In addition, operation has been improved with Auto ISO Sensitivity Control in M exposure mode, enabling exposure control with aperture value and shutter speed locked and automatic adjustment of only ISO sensitivity, as well as a highlight display that shows the brightest areas of the frame in which detail may be lost with display of slanted lines. Beautiful time-lapse movies with which variations in exposure between frames are controlled can also be generated in-camera. Except where noted, all specifications provided apply to use at an ambient temperature of 23° C (± 3° C) with a fully charged battery, in accordance with Camera & Imaging Products Association (CIPA) standards. I have your book on the 810 . The grid appeared on the LV and not in the viewfinder . I did not turn the grid on . Apparently there is a way to turn the grid in LV on and off without entering the menu . « Why Postprocess RAW Images?